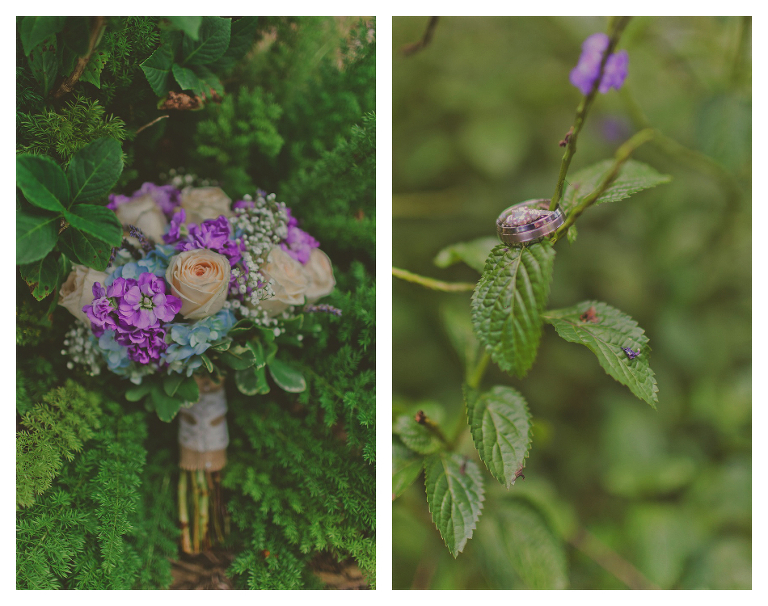 Laydelis and Trevor’s rustic, vintage Cross Creek Ranch wedding featured gorgeous lilac flowers, chalkboards, burlap and a stunning outdoor barn wedding reception. 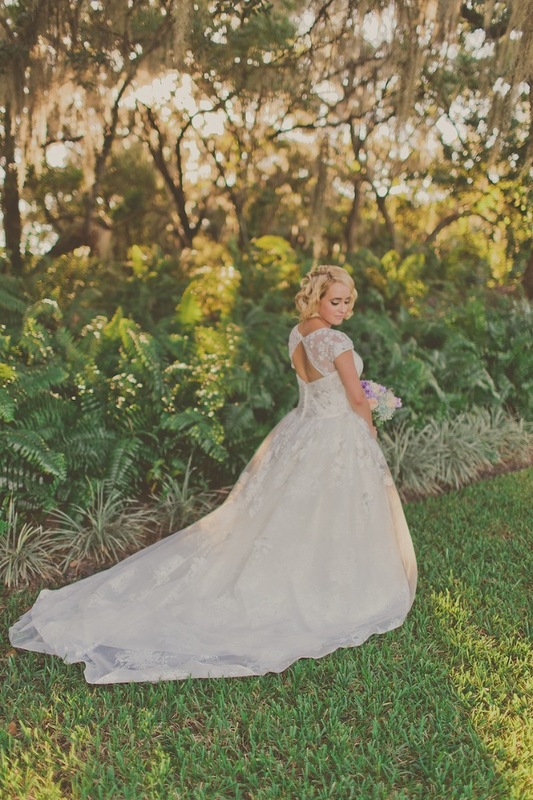 The couple cherished their rustic Tampa Bay wedding ceremony at the venue’s Carriage House Stable Chapel, from the natural lighting to the custom wedding vows. Trevor, I and our 1-month-old daughter at the time. It was us that made it unique, the fact that we got engaged, set our wedding date, decided on our venue and then got pregnant. We got lucky that our daughter came a little earlier than her due date, and we had time to make sure we got everything done before our wedding. I know people get married because they love each other, but Trevor and I are different; it’s something beyond love and you can see that just by looking at us. Our vows were pretty memorable. They were written by us for each other, and you could really tell that we each put a lot of thought into them. Our guests didn’t know we were writing our own vows, and when they heard our officiant say that we had written them, everyone kind of gasped and went extremely silent. That was pretty perfect. What was the deciding factors for the venue you chose? The deciding factor for our venue was that it had to be “us.” As individuals and a couple, we are very different than everyone else and we wanted our wedding to encompass that. We wanted a venue that brought out both of Trevor’s and mine’s differences and similarities. When we walked onto the Cross Creek Ranch property we knew we had found it. Trevor is from Connecticut and I’m from Miami, basically two worlds part, but at Cross Creek our worlds collided to make the perfect blend of what Trevor and I are together. Cross Creek Ranch was the perfect place because it included everything we wanted in one place! Once we stepped into the chapel and saw the plantain shutters, we realized that getting married in the chapel was what we wanted to do. The breeze that was coming in was perfect too. It was exactly what I had pictured and all I wanted to do was run down the aisle to Trevor. We were on a cruise to the lovely Bahamas and on our first night before dinner, Trevor insisted on taking photos on the rear of the ship. I was hungry and agitated and was not having this running around. Finally, we decided on a spot and had someone take our photo. Snap. First photo is great. Our theme was rustic vintage. 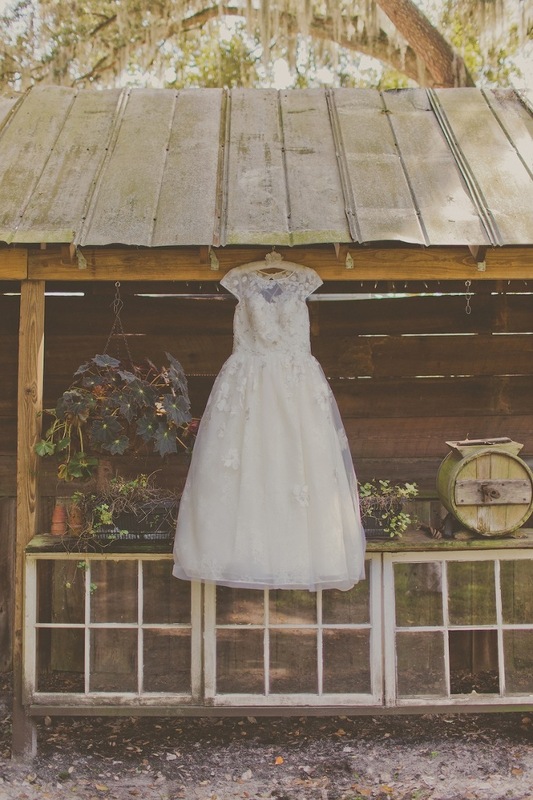 We loved the idea of an old barn, farm or stable as our wedding location and had originally planned for an outdoor ceremony. Our color scheme ranged from hunter green to lilac, white and blue. We threw in some sunflower yellow because that’s my favorite flower and they remind me of Trevor. Make sure that your wedding is you and your fiancee. Don’t add things to your wedding that you think would look nice, but aren’t really things that describe you or your partner. 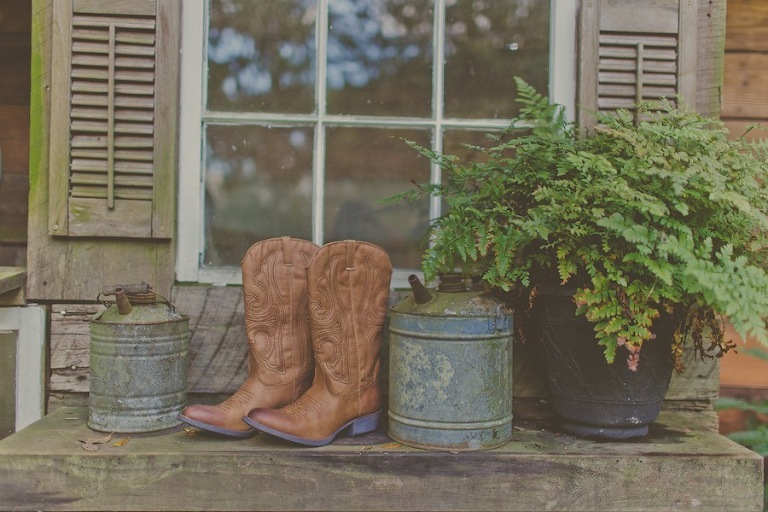 We are proud to have Cross Creek Ranch as a Marry Me Tampa Bay sponsor!